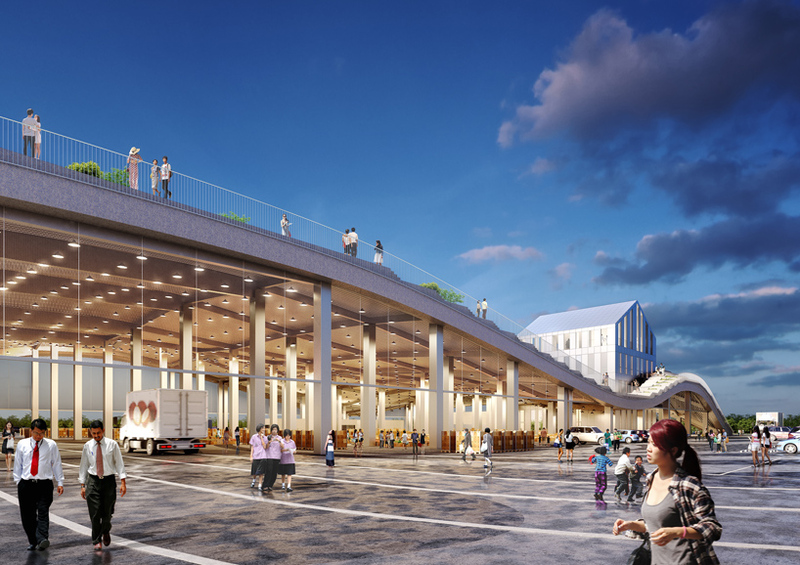 MVRDV has broken ground on a new wholesale market for fruit and vegetables in tainan. 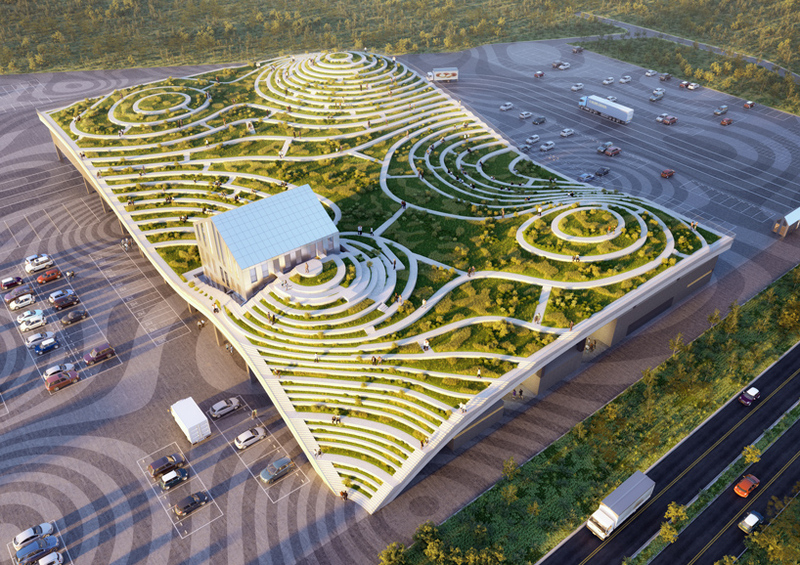 characterized by its expressive, terraced green roof, the open-air market will serve as both a hub for tainan’s food supply chain, and a destination for meeting, socializing, and taking in views of the surrounding landscape from the accessible green farming roof. the market transforms and elevates an ordinary aspect of the food industry into a pastoral and experiential built environment. situated between the city and the mountains, the project is easily accessible and equally convenient for traders, buyers and visitors from both urban and rural areas. 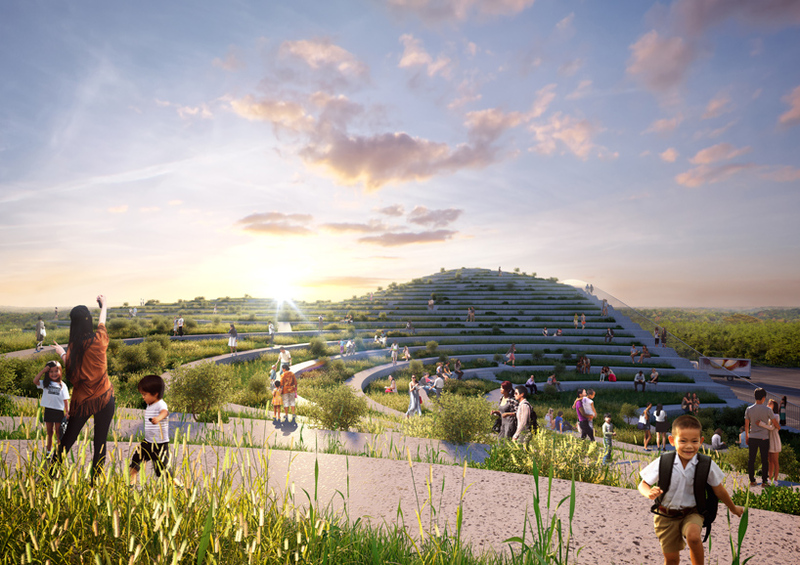 the design by MVRDV comprises a simple open structure with high undulating ceilings that allow offer natural ventilation, with an undulating terraced green roof accessible from the ground level at its sloped eastern corner. 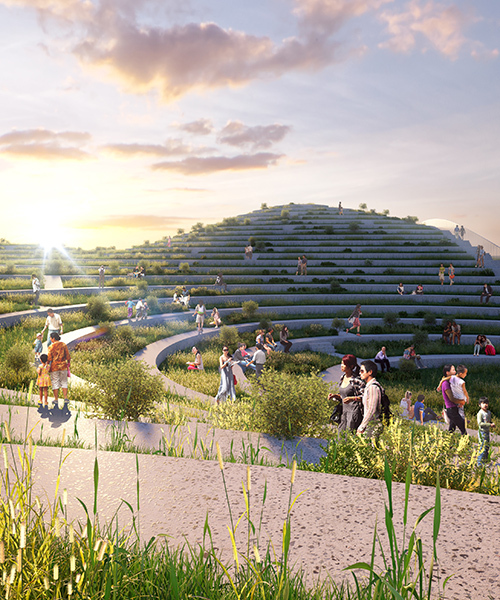 the market takes the appearance of rolling green hills, expressing a continuation of that landscape. at one end, a normative four-story structure interrupts the topography, housing administrative offices, a restaurant, and an exhibition center where agricultural products from the region are displayed. this four-story addition punctuates the main structure, providing a secondary point of access to the landscaped roof. the terraces of the roof will each grow a different crop, including pineapples, rice, roses, and tea. the level of each crop is determined by its climatic requirements. the roof includes sheltered areas, benches, and picnic tables that allow visitors to sit and enjoy the view. 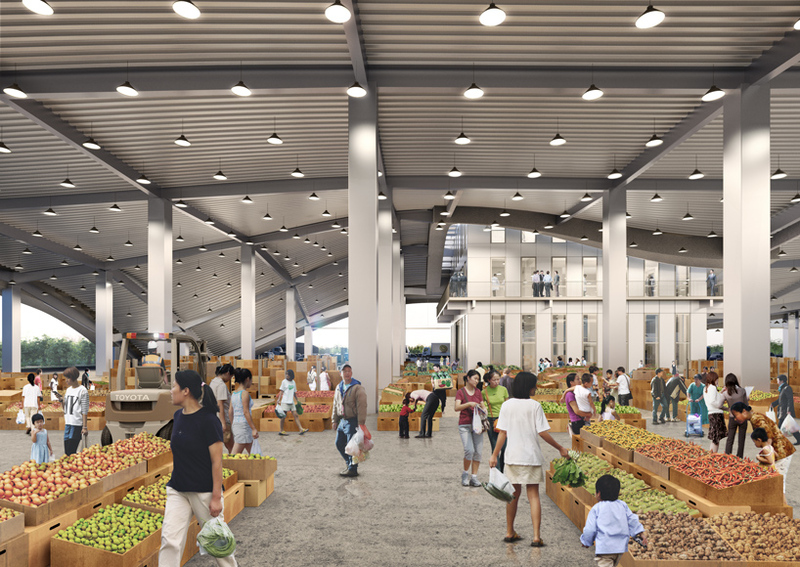 tainan xinhua fruit and vegetable market is a continuation of MVRDV’s recent projects in taiwan. these include the tainan axis, which revitalizes central tainan with improvements to two key streets and a new public square with a lush green lagoon, and the taipei twin towers, a recently won competition for two skyscrapers which will become a focal point in the centre of the country’s capital.